This Literature Rack has the Ability to Exhibit Several Different Magazines at Once! Position the Holder in a Way that Entices Readers! Each Literature Rack has (3) Levels! 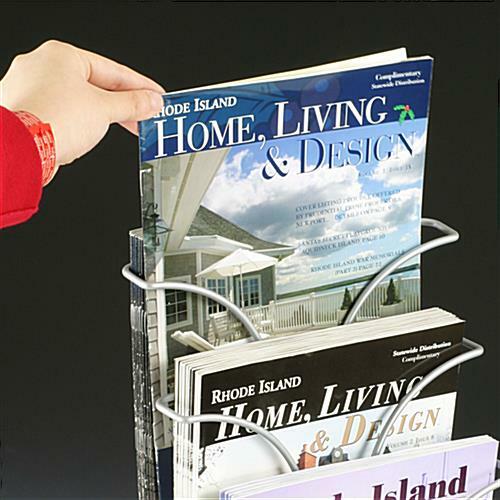 This literature rack is great for countertops where magazines are displayed. The catalog holder features (3) separate pockets that are tiered. As a result, the literature rack does not take up to much space in crowded areas. For places with exceptionally limited counter space, the holder provides the ideal solution. 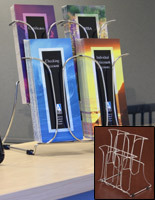 The literature rack is most commonly used to provide customers with reading materials while they wait for service. 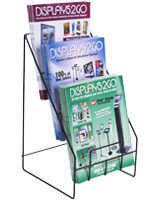 The stand is also great for exhibiting periodicals that are for sale, which is ideal for convenient and retail stores. 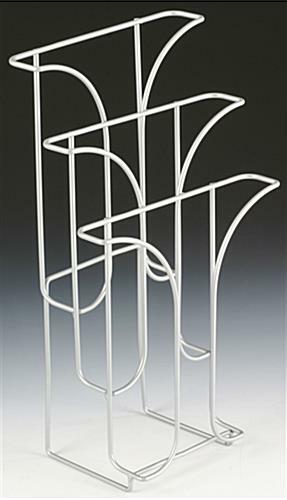 The literature rack is manufactured using very durable wire, so it can be utilized in busy, high traffic environments. 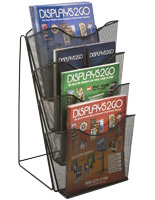 The magazine display easily blends with virtually any setting due to the neutral, light-gray finish. 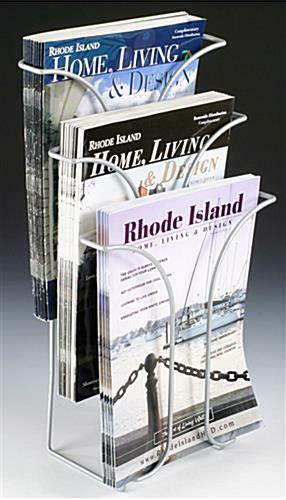 This literature rack keeps magazines exhibited in an attractive, orderly presentation. 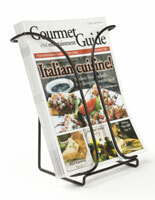 Each is priced very reasonably, which makes it a cost-effective yet stylish way put out catalogs. 9.4" x 16.0" x 5.8"
9.0" x 9.4" x 1.4"